The Conference on Complementary Currency Systems that will be held 19-23 June in The Hague, Netherlands, is shaping up to be a significant landmark in the development of currencies and exchange processes. It will bring together practitioners and theoreticians from all over the world. The following message that came in recently from Edgar Kampers, one of the organizers, highlights the program for just one of the five days. Anyone involved in, or having a serious interest in this field, will probably want to be there. 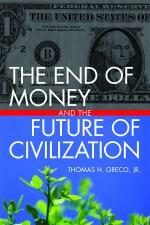 Are you eager to learn about the future of currencies? Or are you keener to know how complementary currencies can support the local economy and build communities? Are you intrigued by digital currencies like Bitcoin, Freicoin and Ripple? Then join the 2nd International Conference on Complementary Currency Systems on Friday 21st of June. It will bring a fresh perspective on local currencies like the Brixton Pound, Bristol Pound, Chiemgauer, Berkshares and the Calgary Dollars! It will explore several amazing time banks and time credits systems like Spice, Fureai Kippu and De Makkie! The conference will be held in The Hague, The Netherlands and will bring together world-leading experts including Bernard Lietaer, Thomas Greco, Jem Bendell, Bart Jan Krouwel, Shann Turnbull and Tony Greenham. Step into the world of complementary currencies, join the conference! This entry was posted in Developing Alternatives, Emerging paradigm, My activities and tagged Community Currencies Conference, conference, currency, Hague. Bookmark the permalink.